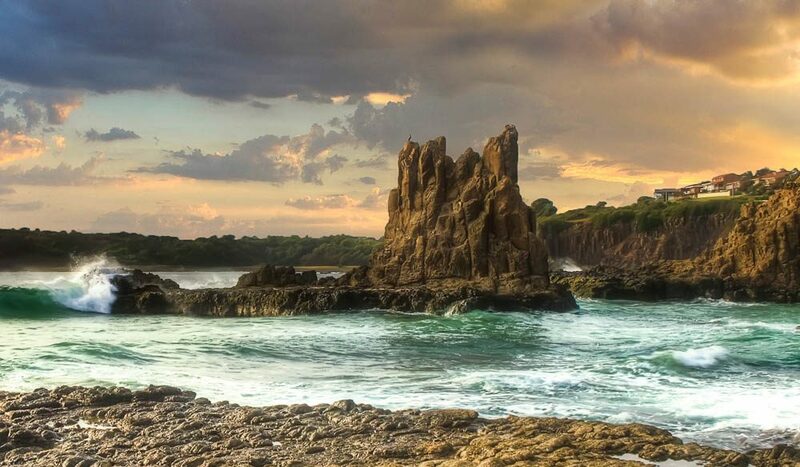 Kiama is only 120km south of Sydney and an easy daytrip through the Royal National Park and down the pretty South Coast, but there’s plenty to see in the area to warrant a longer stay. Most visitors are drawn to Kiama’s famous blowhole, another product of the ancient volcanic lava flows that also formed Cathedral Rocks. You’ll find them at the southern end of Jones Beach, and with a little bit of early morning rockhopping you’ll be able to see them from this angle. By the way, don’t confuse this formation with Cathedral Rock in northern NSW.